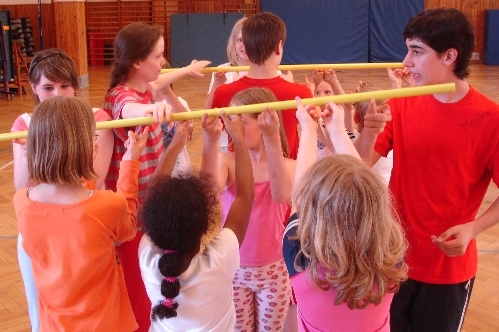 Every player holds one finger of one or two hands under a wand. 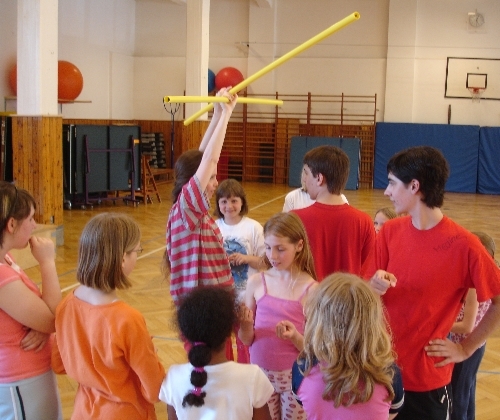 Every player has to touch the wand with his finger the whole time of the game and is not allowed to loose contact! If one finger looses contact, start all over! The aim is to lower the wand to the ground. 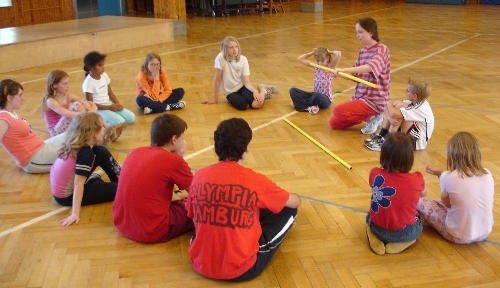 Measure the time and try to lower the wand as soon as possible. Find methods to improve your teamwork so you can achieve your common purpose together and stand to the rules. You can play with two or more teams as well. The team which touches the ground with his wand first (or lets say: the team with the better teamwork) wins. 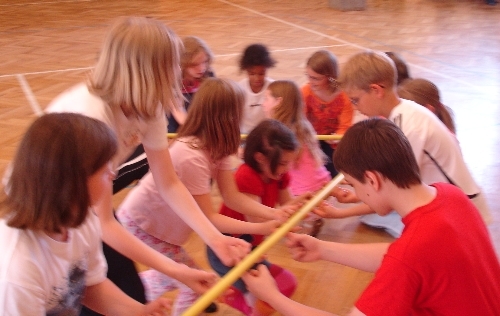 Teams with good teamwork will lower the wand within a little time period, with constant arrangements and a lot of fun. Teams which have to improve their teamwork will raise their wands pretty fast and maybe drop it then. This happens because caused by a leak of unity of team speed everybody is pushing upwards. Very impressing experience! If that happens - just play again!